These days collaborative design is an essential aspect of a brand’s aspirations and inspirations. For James Richardson, partnering with leading Australian designer Ross Didier was an organic and natural progression resulting in a new collection of furniture that is uncompromising in design, form and function. The ranges from rD by Ross Didier, comprise of Helm, a multi-functional modular seating collection and Gunzel, a collection of chairs and tables that complement each other and create a unified and contemporary offering. The style of the combined collections is authentic and clean with a pared-back industrial aesthetic that captures simplicity at its best. Both ranges are ideal product inclusions for projects within the workplace, education, hospitality and accommodation sectors. Gunzel and Helm feature solid American ash with a smooth and refined finish while the rawness of the timber shines through in every product. In addition, lead times are slashed to between four and eight weeks ensuring products are readily available to accommodate tight timelines. The Gunzel chair has been designed in a formal geosymetry but retains an organic comfort with a sculpted backrest. The chairs can be customised through the inclusion of optional seat pads of leather or fabric with saddle-stitch detail, which sit flush within the framing and are also easily removable. 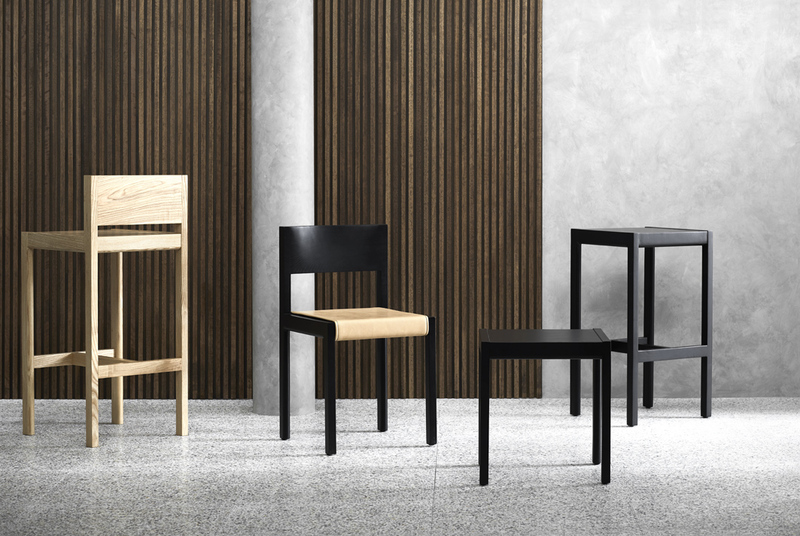 There is also a range of high and low stools, with or without backs that expands utility for the office or the café and carries through the design intention of style with substance. The Gunzel tables are available in a variety of lengths and complementary to the accompanying seating, generous in materiality with pure lines. The solid American ash tops and legs are supported by aluminium extruded support rails (that can be easily customised) and the tables are manufactured in dining or bar-height and flat-packed for easy shipping. 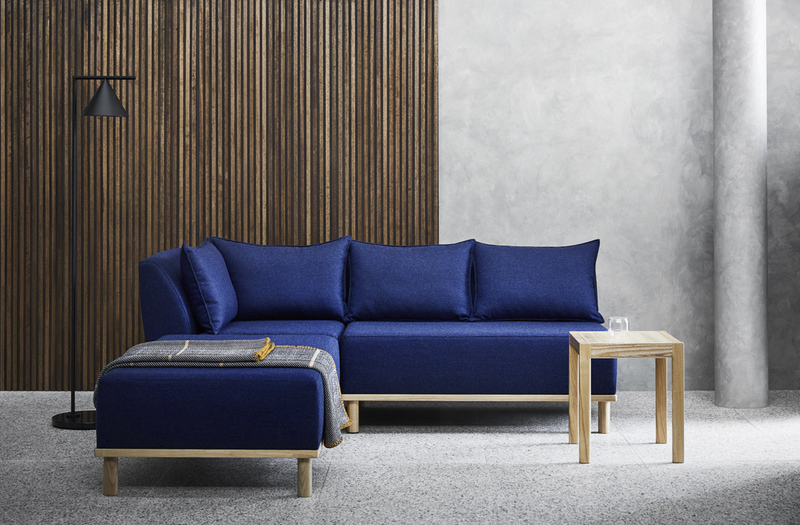 The Helm range of modular furniture offers incredible versatility with the five separate pieces; however, it presents comfort at its genesis. The solid timber base is the starting point for custom design as each piece becomes a bespoke furniture addition when upholstered in a client’s own fabric or leather. As a company, James Richardson has stood the test of time – the JR/Group (James Richardson Group) was established in 1892. 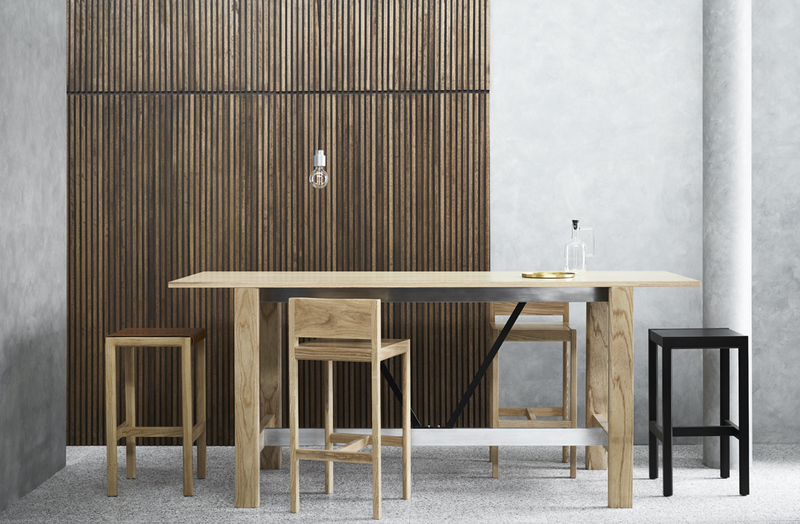 Founder, the late David Mandie AM, OBE, conceived the furniture division in 1956 and now, as in the past, the Melbourne-based, family-owned business is embracing new directions by investing in Australian design. Ross Didier needs no introduction as a product designer of note. Didier has created multiple furniture collections since the inception of his studio in 2000 and his work has achieved critical acclaim. Bombala lounge chairs can be found outside the Sydney Opera House and bespoke seating and Terra Firma tables grace the interior of Vue de Monde restaurant in Melbourne. There are Elfin stools in Times Square, Obelisk sofas in the Denver Art Museum and his products have been purchased by Nintendo, Microsoft, Hewlett Packard, Google, Belconnen Arts Centre, Nomad restaurant and the Australian Defence Force. Gunzel and Helm collections from rD by Ross Didier are exclusive to James Richardson and now available in Sydney, Melbourne and Brisbane stores.